Horror films took a hiatus from Hollywood from 1937 to 1939. The British Horror Ban forbid monster movies from being screened without an X rating, curtailing the export of terror-inducing tales. The Production Code was in full effect, with Joseph Breen and his censorship minions clamping down on what they considered wasn’t suitable for the public. Lastly, Carl Laemmle Sr. (and his son) were ousted from Universal Studios, the company he founded, with J. Cheever Cowdin taking over as Chairman. Cowdin was a money man with a tight hold on the bottom line for the cash-strapped Universal. 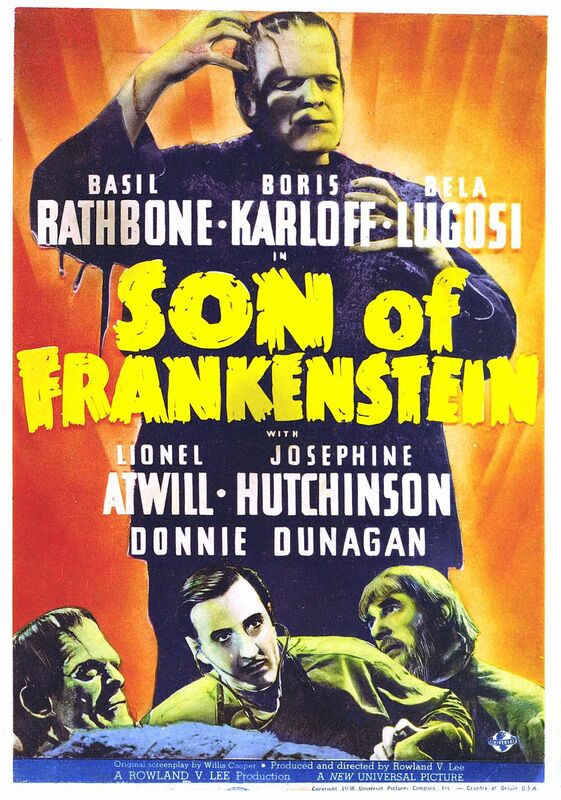 Then in 1938, a Los Angeles theater desperate for business featured a triple-bill consisting of FRANKENSTEIN , DRACULA , and KING KONG , playing to sold-out crowds, and a nationwide rerelease saw similar box-office success. 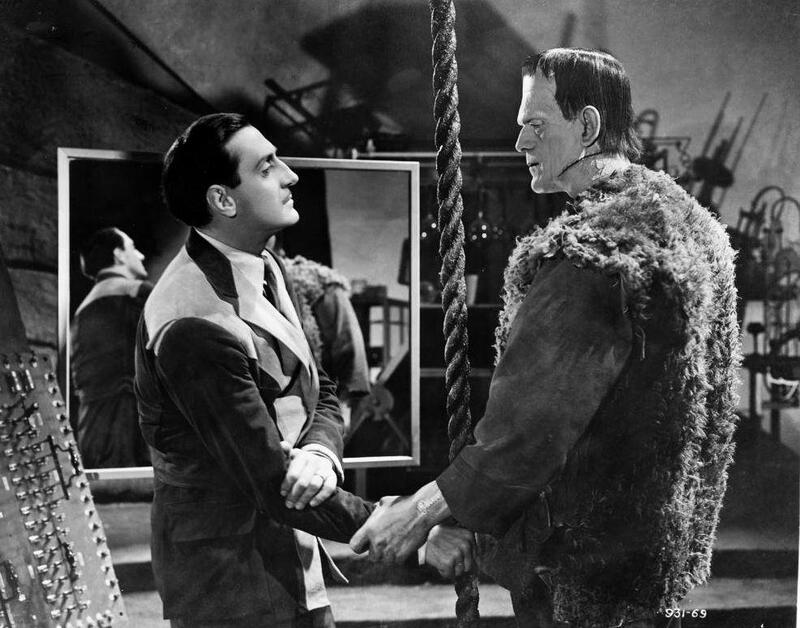 The Universal Monsters were back in business, and a third sequel to their profitable series based on Mary Shelley’s novel was readied for production – SON OF FRANKENSTEIN, reuniting horror icons Boris Karloff and Bela Lugosi , and teaming them with another villainous star, Basil Rathbone . We begin with some exposition, as village leaders debate the return of heir Wolf von Frankenstein and his family, followed by more exposition from Wolf aboard a train. Now that we’re all caught up on the legend of Frankenstein, the film begins in earnest, with those villagers not exactly giving Wolf and family a warm welcome! 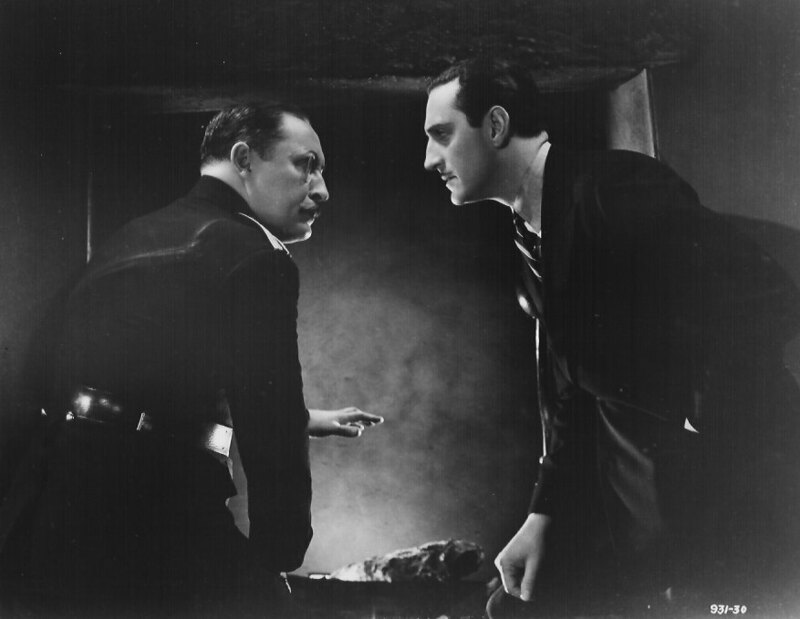 Arriving at the ancestral home (which features a large portrait of Colin Clive in the library), Wolf is called on by Inspector Krough, who warns of danger from the villagers due to a series of unsolved murders rumored to be the work of the “ghost” of his father’s creation. Krough gives Wolf his father’s papers, then relates the tale of how he acquired his wooden arm… seems The Monster ripped his limb out “by the roots” as a child! 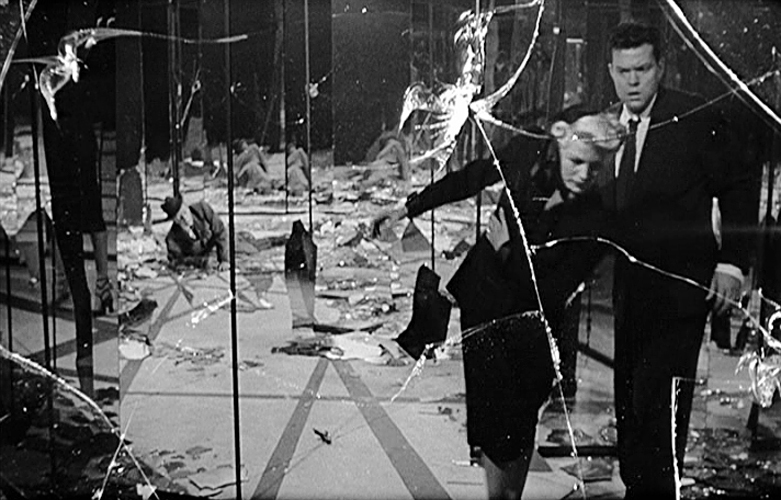 Producer/director Rowland V. Lee was tasked with reviving the franchise, and his film has echoes of James Whale’s style combined with a more modernistic approach. Lee, who began his career in silents, had success in the Pre-Code Era and helmed some popular swashbucklers (1934’s THE COUNT OF MONTE CRISTO, 1935’s THE THREE MUSKETEERS), wasn’t happy with the script by radio’s Willis Cooper (LIGHTS OUT), and did an extensive rewrite, throwing out some ideas, adding new ones, and beefing up the character of Ygor. Together with cinematographer George Robinson (who’d go on to do a number of Universal shockers in the 40’s) and Art Director Jack Otterson, Lee creates a world populated by shadows, a rich dark texture giving SON OF FRANKENSTEIN the look and feel of those early 30’s classics while updating things for modern (1939) audiences unfamiliar with the earlier movies. And he succeeds, thanks to his collaborators both behind and in front of the camera. 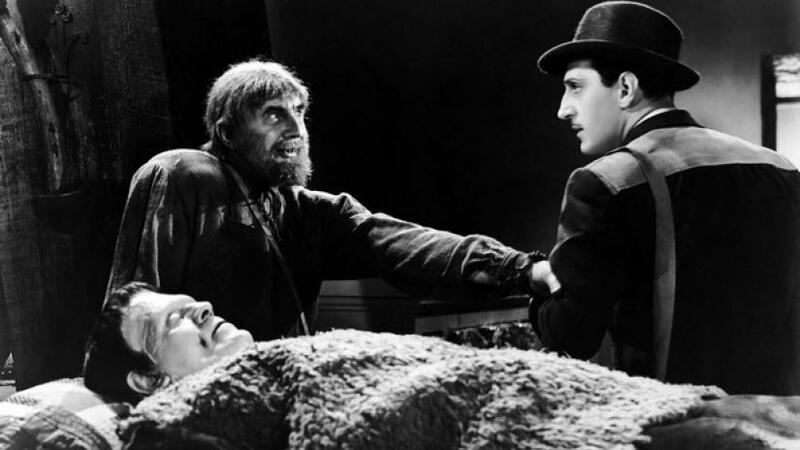 Basil Rathbone as Wolf von Frankenstein is a bundle of nerves with a mad gleam in his eye, a far cry from his cool, calm, and collected Sherlock Holmes persona. He even gets to perform a bit of swashbuckling himself at the film’s conclusion. Rathbone was one of Hollywood’s vilest villains, though here he’s as much misunderstood anti-hero as dastardly mad scientist. Lionel Atwill’s Inspector Krough was one of his best parts before a scandal reduced him to ‘B’ movie status (and yes, you can’t help but think of Kenneth Mars in YOUNG FRANKENSTEIN when you see him – thanks again, Mel Brooks!). 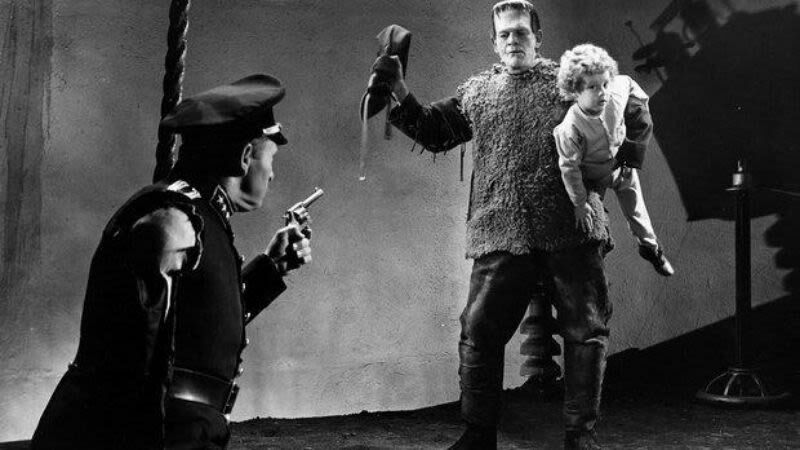 Boris Karloff, in his third outing as The Monster, isn’t given much to do but growl and just be a killing machine. Where he obtained that fur vest he wears is never explained – a Christmas gift from Ygor, perhaps? Josephine Hutchinson plays the thankless role of wife Elsa. A lot of horror critics harp on little Donnie Dunagan’s acting as young Peter, but HEY… HE WAS JUST A FIVE YEAR OLD KID AT THE TIME! LEAVE HIM ALONE (besides, Donnie more than made up for it when he supplied the voice of BAMBI)! 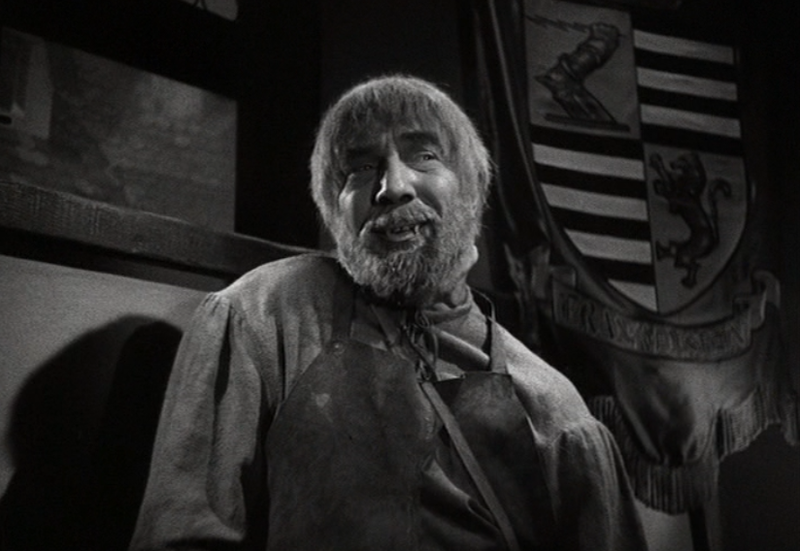 Then there’s the great Bela Lugosi as the broken-necked Ygor, arguably his last great film part. Lugosi hadn’t been seen onscreen in over a year, and Lee was determined to keep the actor working by giving him a bigger part in the film. Ygor pops up everywhere in the movie, so the Hungarian star would continue to get paid by skinflint Universal. Lugosi responded with his best performance since THE RAVEN , not just playing Jack Pierce’s monstrous makeup but creating a full-bodied character. His gravelly voice is unrecognizable from his Count Dracula days, and the scene where he spits at one of the village leaders (“bone gets stuck in my throat”) is a highlight. Ygor is the only one who can control The Monster, and after his demise all bets are off! Ygor should’ve led to better roles for Bela Lugosi, but his poor choices and addiction to morphine instead sunk him, like Atwill, to Poverty Row programmers at PRC and Monogram. I love this movie. Always looked at 1931 Frankenstein, 1935 Bride of Frankenstein and Son of Frankenstein to be the very first trilogy every made.